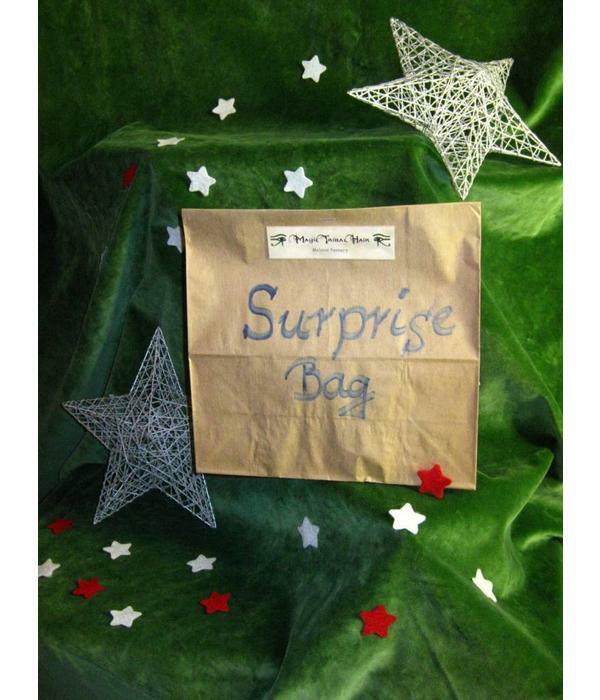 Each Magic Tribal Hair surprise bag contains hair jewelry of double to triple value of the purchase price of the surprise bag. This surprise bag contains for example hair flowers, peacock and other feather hair jewelry/ fascinators, headbands... All hair jewelry is attached to professional metal hair clips for very strong hold each (minimum hair length: 5 cm/ 2 inches). 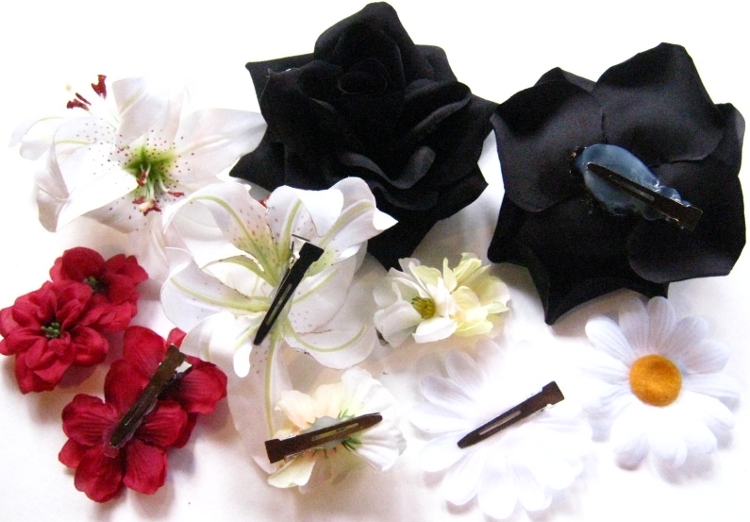 You can see this attachment with the example of the hair flowers in the picture below! 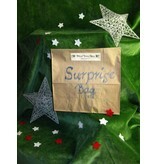 This surprise bag is limited to 5 pieces per order. 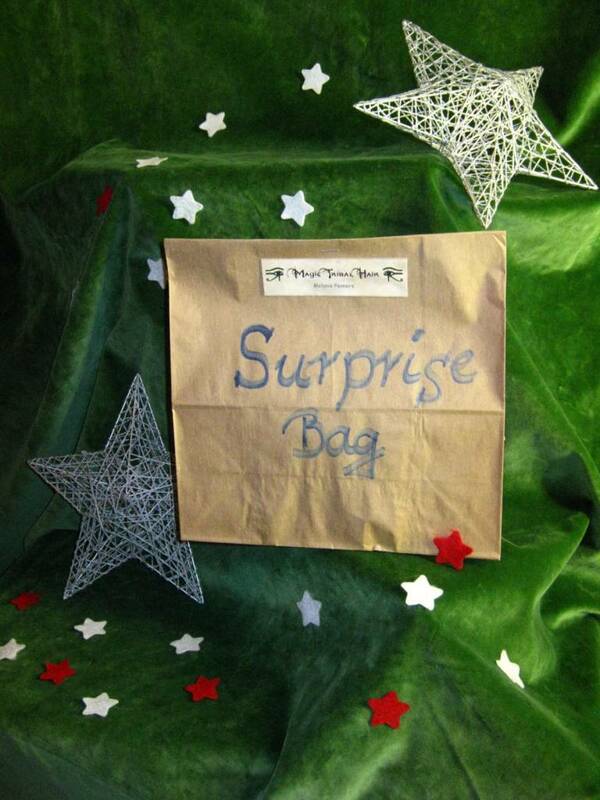 This surprise bag contains hair jewelry which is not too specific - hair jewelry with skulls or vintage gears you find in respective goth and steampunk surprise bags only! Magic Tribal Hair exclusively uses strong, professional hair clips which provide very strong hold. Moreover these clips do not have any teeth, so they can be worn on all fabrics without pulling threads. This means you can wear all our hair clips as shoe clips, brooches on a collar or shoulder strap, as bag clip and even on flat jewelry like larger earrings and flat rings as well - they are many in one items! And last but not least, the clip is alway entirely covered by the decoration, so it does not shine through, see the picture below for details. 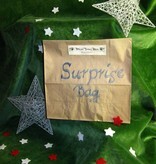 All hair jewelry surprise bags are hand-made to order.